The English language has a habit of dressing things up to make them more palatable. I wonder if meat would be so popular if we called beef, lamb and pork “dead cow”, “baby sheep” or “pig carcass”. Sometimes of course if something is particularly hard to swallow we have to resort to French; I don’t think even the big 4 banks could sell many “death pledges” regardless of how desperate we were to get on the property ladder! However, I have decided not to play along when it comes to producing Performance Bowling Greens and I now lump herbicides, insecticides and fungicides (pesticides) into my newly coined phrase “noxious chemicals”. So it might come as some surprise that I am now going to advocate the continued use of these products. 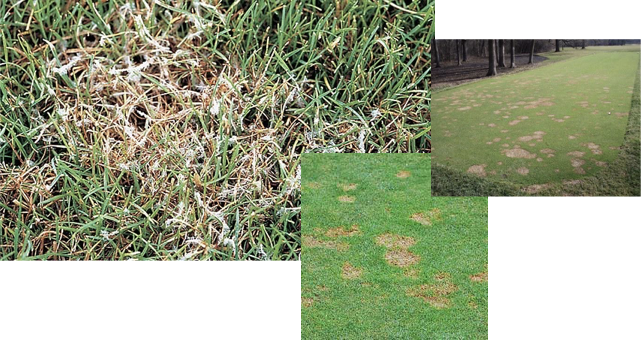 The long term plan for any bowling green should be to wean it off of these products, but I still come across clubs who jump in with both feet too early and make their green even worse than it was. Although done with the best of intentions, this can torpedo the whole program as members rebel against the new program. If you have a thatchy, compacted, sour smelling green, you will need pesticides for the foreseeable future. However, the plan should be to move to spot treatment only whilst you undertake the real work of aeration and soil improvement. Eventually, you can become smug like me and call them noxious chemicals, the use of which will never be entertained again. Maybe we will eventually promote the opening day BBQ with a poster covered in dead baby animals! Much more info on weaning your green off pesticides here.